Google AdWords is a part of Google’s very own advertising system, in which businesses/advertisers bid on certain keywords to determine which ad link appears first. It is a pay per click service, so for example, you select the word “insurance,” and per say your company is the second ad link on the page and is clicked on someone, you would then pay when they click on your AdWord link. Want to get started on Google AdWords? 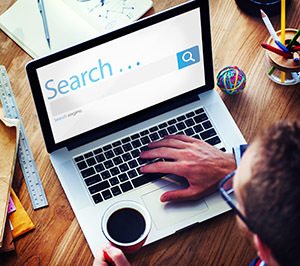 What keywords really describe your business? Maybe you are a handyman, so certain keywords you may choose are: “handyman,” “home repair,” “painting,” “plumbing” and etc. Find words that are common and truly describe your business. Start off with making a list of your top keywords and searching to see what currently displays on Google. Yes, somethings can only be said in one word, but look to use small phrases instead. It’s best to keep a running theme with your AdWords account and your website structure and navigation. This will help attract new leads on where directly to look, as well as keywords to search when they look again. Also, make sure your website is mobile friendly! If someone is searching to view your products, it would not be useful to direct them to the customer profile page, right? Exactly. Set links to the appropriate landing page, potential customers will get frustrated trying to navigate your site. Google research has show that the best place to be in mobile ads in the “top 2” in order to get the most hits. Look to increase your bidding, especially during campaign times. It’s important to set a budget for Google Adwords. Even though it is a CPC business, know how much you are willing to bid and the maximum amount you are looking to allocate. One of the great things is that you can change your bid on the date, location and time of day. Be sure to utilize the “dynamic bid modifiers” option in order to do this. Only looking to reach a 50 mile radius? Be sure to select that when choosing your target radius location. Be sure to track your AdWords frequently, this way you can monitor and adjust. Keep a hold of what words work well and times. This will help you see where/when you should allocate more money or ditch specific keywords if they are not producing the results you would like to see. Google AdWords can be great for any business size. They can help you reach new customers and leads from all over the world. Incorporating Google AdWords into your advertising and marketing is a smart choice!